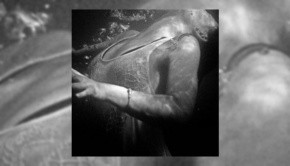 In November 2015 I reviewed Simon Godfrey’s Black Bag Archive, Volume I, a collection of salvaged tracks from unfinished projects. 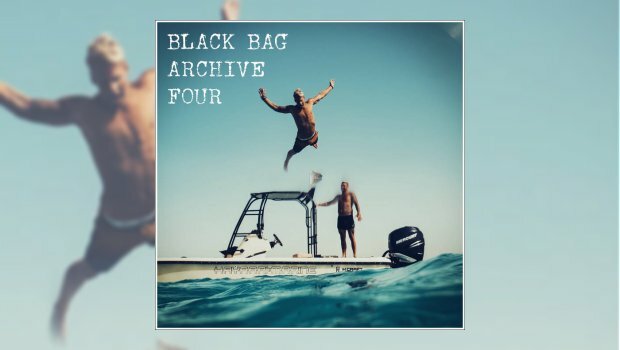 In February 2017 I reviewed Simon Godfrey’s Black Bag Archive, Volume II, a mixed-black-bag of old and new songs. In January 2018 I reviewed Simon Godfrey’s Black Bag Archive, Volume III, an album comprised partly from the unwanted love-children left on the orphanage steps resulting from Simon’s earlier musical flirtations and dalliances. 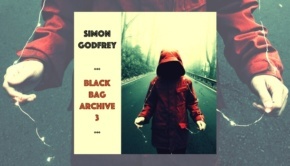 Here we all were at the end of 2018 with Volume IV, and it got me wondering: Just how big are Mr Godfrey’s rather genre-defiant Black Bags? They seem huge and yet there is evidence that he can still ride a bicycle. Remember, this is music that didn’t make it onto albums by his old bands, including Tinyfish. 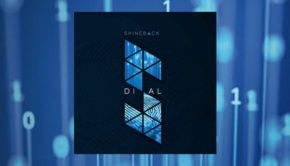 Neither did it warrant, in Simon’s mind, inclusion into his other solo projects, Shineback or Valdez. Some of these songs might never have seen the light of day had Simon not had his Black Bag Epiphany! Would that I were that prolific and I could afford to put these many songs on the back burner! One of the tracks is potentially significant for me. It may be the first track I ever heard by Simon. I’m sure I remember it from more than 5 years ago, but in any case, I’d just started listening to music once more after posting a few things on (the then new to me app) Soundcloud and this track popped up. Correction: it didn’t just pop up, it jumped out at me. That bass line is just… bloody marvellous. 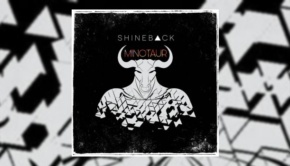 Over time, as I discovered Bad Elephant and became aware that they released music by artists such as Shineback, I started to suspect that this Si Godfrey bloke who’d posted a song by The Band Of Bastards and Simon Godfrey might be the same person. The clues were all there. No Mr. Bond, I Expect You To Die (Band Of Bastards), as posted by “Si Godfrey” sounds remarkably like Track Number 9 on Simon Godfrey’s Black Back Archive Volume IV. Come on, I’m no Sherlock Crumblesnatch but could Si be short for Simon…? We may never know the truth. Anyway, No Mr. Bond, I Expect You To Die (Band Of Bastards) was in the running to be my standout track of this Black Bag release. But then, I listened… really listened to Track Number 1, No Silver In The Mine. Simon has a rather interesting way of stringing chords together, chords that probably shouldn’t go. Whether this is simply because he likes the way it sounds, or it is by design I couldn’t tell you. The instrumentation, performance and structure seem almost too sophisticated for a song that the composer is sure doesn’t fit with anything else. I mean that as a compliment. A great opener. The ones we use to deceive ourselves! Oh yes, I did just make that comparison. You can’t stop me doing that. You’re not the boss of me. You’re not even paying to read this review. Simon Godfrey is quite prolific on the Interwebs, including his Facebook VLOGS with his dog, Dora, documenting their adventures in the Philadelphia park in which they meet some very odd people. Simon also uses that same well-known Social Medium to document the stories behind the songs that make their way onto the Black Bag albums. This gives a fascinating insight into Simon as a musician and his methodologies. I recommend that you try and follow him, but the point here is that this information arms the listener with information in arguably a more personal and contemporary fashion than sleeve notes could. But it does almost risk redundancy for those reviewing this. On the other hand, all my speculative wittering is revealed for what it is and reduced to just one thing: Do I think it is good music and worth shelling out your hard-earned cash? Well, it is the only music I’ve had on in the car since I got my promo copy. 1 – I pre-ordered the CD from those Bad Elephants. 2 – I sing along to Crystal, Where Have You Been? in the car (though I skip the spontaneous random bit at the end – imagining Simon’s amused ‘hello’ as his guitar is pushed off his lap by the curious, slobbering beagle is getting old). 3 – Nimbus is a veritable earworm infestation. 4 – There are the tracks I already mentioned. 5 – The album resolves nicely with the final track, Gideon Falls. Produced, Mixed & Mastered by Simon Godfrey at Duckland Sound, USA.